The Jim Sage fire is burning in heavy juniper, grass and brush. 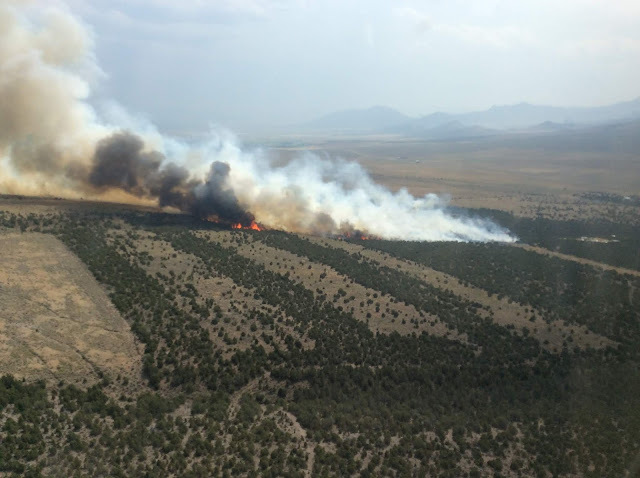 Fire fighters are experiencing extreme fire behavior with running, torching and spotting. 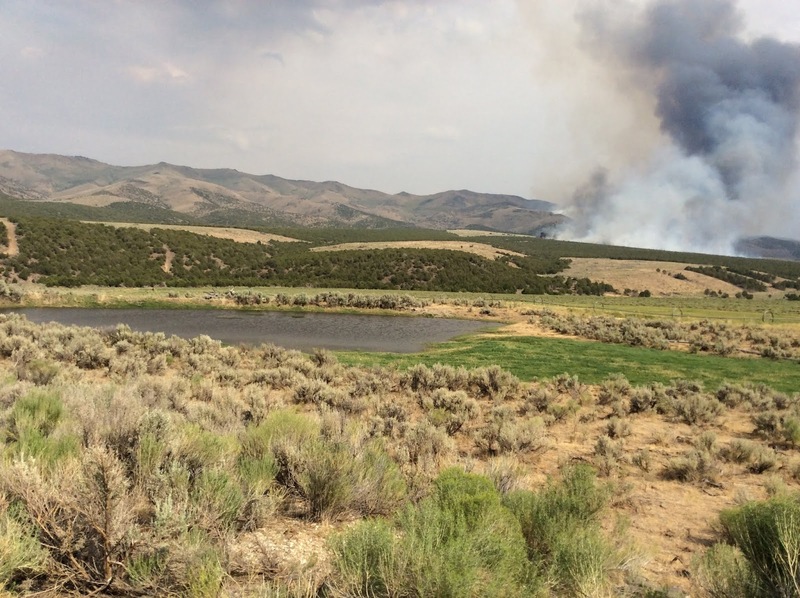 The fire is currently pushing north and south, reaching the ridge top on the northern flank. Additional resources have been ordered and air craft are on scene assisting ground units. The fire area is expecting gusty winds this afternoon. Structures near the fire are secure at this time.